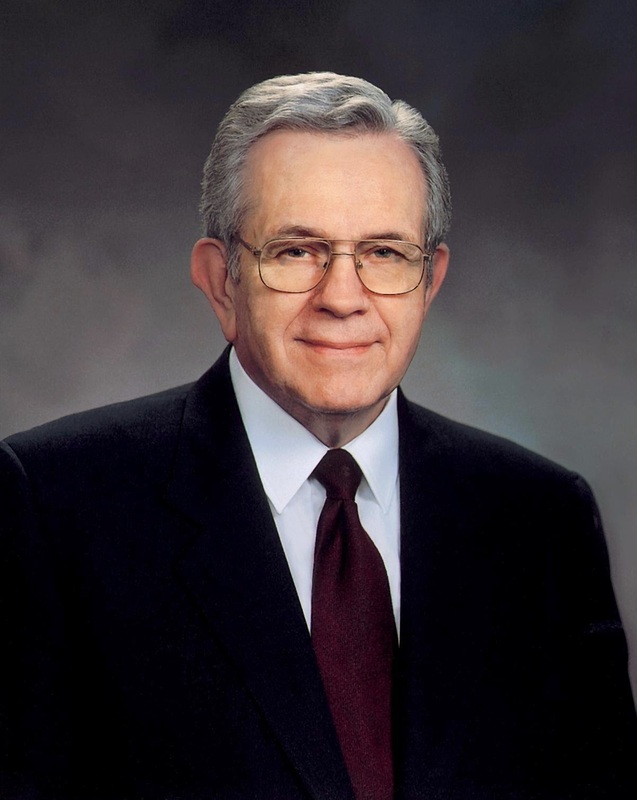 President Boyd K. Packer (1924- ) served as an Assistant to the Quorum of the Twelve (a position that no longer exists) from 1961 to 1970, when he was called to the Quorum of Twelve Apostles. He currently serves as the president of that Quorum. "Our physical bodies, when harmed, are able to repair themselves, sometimes with the help of a physician. If the damage is extensive, however, often a scar will remain as a reminder of the injury. 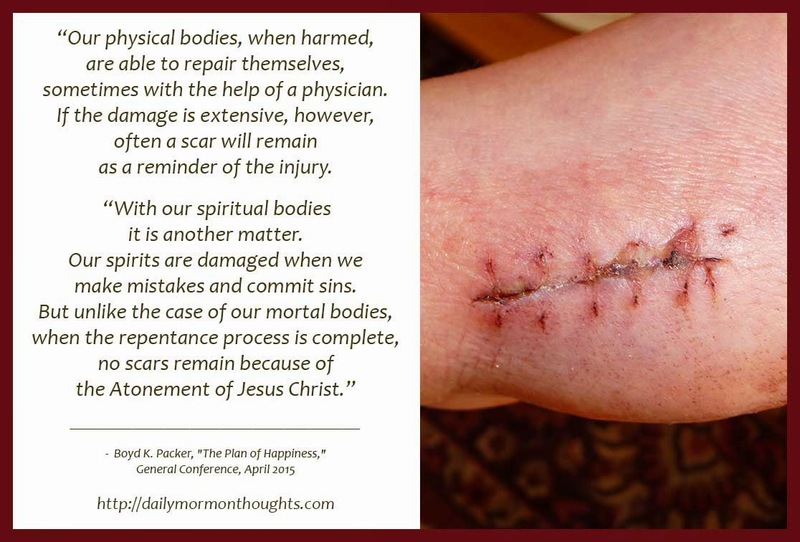 "The Atonement, which can reclaim each one of us, bears no scars. That means that no matter what we have done or where we have been or how something happened, if we truly repent, He has promised that He would atone. And when He atoned, that settled that. There are so many of us who are thrashing around, as it were, with feelings of guilt, not knowing quite how to escape. You escape by accepting the Atonement of Christ, and all that was heartache can turn to beauty and love and eternity." President Packer is not the oldest of the current apostles chronologically, but he seems to be the one who is the most advanced physically. Each conference, I wonder if we might have heard his last public address. That was the case again this time. He spoke of a theme that has been very important to him: the happiness that comes in following God's plan for marriage and families. He mentioned his love and appreciation for his companion of nearly 70 years, Donna Smith Packer, now that they were "toward the end of our mortal days together."